Replacing food with low-calorie soups, shakes and bars is a cost-effective way for the NHS to treat obesity, experts claim. University of Oxford scientists say giving people the therapy could save the NHS as much as £10,000 per person per year if they keep the weight off. Nearly two thirds of British adults (64 per cent) are overweight, and more than one in four are obese. This puts them at higher risk of heart disease, cancer and stroke. The NHS is trialling a programme restricting patients with type 2 diabetes to 810 calories a day for three months, during which they only eat soups and shakes. And the £796-per-person programme is financially viable because it would make people cheaper to provide medical care for afterwards, the researchers say. Publishing their findings in the medical journal Obesity, the scientists found people could lose an average of 1st 9lbs (10.7kg) in a year using meal replacement. The programme is called total diet replacement (TDR) and involves people swapping out normal food for calorie-controlled meals. 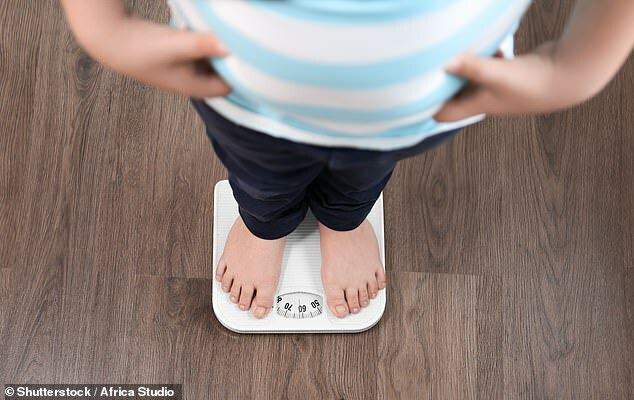 In a study last year, 278 people with a BMI or more than 30 – making them obese – tested the programme for eight weeks. For every 100,000 overweight people who use it, 50 heart attacks, 75 strokes, 900 cases of type 2 diabetes and 25 cancers could be avoided, it was found. And an analysis by the University of Oxford suggests it makes financial sense for the health service to use it. The NHS defines cost-effectiveness as something which means someone’s healthcare after the treatment will cost up to a maximum of £20,000 per year. Even if people on the TDR diet put all the weight back on, their care should cost no more than £12,955 per year on average, the study claimed. And if they keep 1kg of the weight off, this annual cost drops by almost £10,000 to £3,203. The NHS announced last year it would trial prescribing the radical ‘soup and shake’ diet to patients who desperately need to lose weight. ‘It is great to see the NHS Long Term Plan taking this research evidence and translating it into new clinical services for people who are obese,’ said Professor Susan Jebb, who investigated the trial. A trial of the soups and shakes diet found it is suitable for most people who want to lose weight and is effective because people consume fewer calories than they burn. Earlier research found no evidence the TDR programme increased the risk of health problems which interfered with daily life.